Hellboy‘s creator Mike Mignola has been making the rounds to tease what’s in store for fans when the titular hero returns to the big screen. 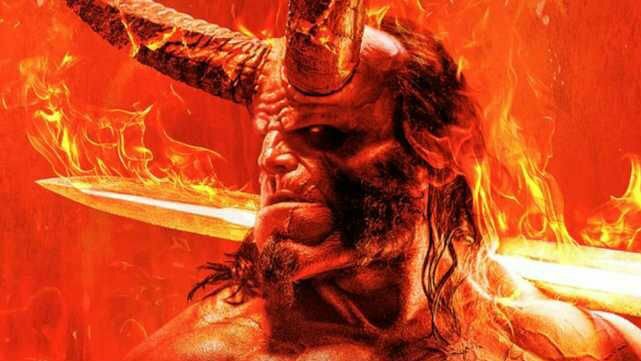 At New York Comic-Con, the Hellboy panel is currently getting underway with cast members David Harbour (Hellboy), Sasha Lane (Alice Monaghan), Daniel Dae Kim (Ben Daimio), and Ian McShane (Professor Trevor Bruttenholm). But before that started, Dark Horse Comics‘ official YouTube channel posted a brief interview with Mignola. He outlined his work as a consultant on the new film. Specifically, Mignola addressed how it differs from his input on the two previous installments directed by Guillermo Del Toro, which featured Ron Perlman as Hellboy. “I was a lot more involved in the script over the years,” said Mignola. He went on to explain that the screenplay, which includes contributions from Andrew Cosby (Eureka), Christopher Golden (Sons of Anarchy), and Aron Eli Coleite (Heroes), took “years” to develop. Mignola said he was brought on at “various points” during the writing process to help fine-tune the film’s story, which he describes as a “restructuring” of the Wild Hunt storyline from the comics. However, Mignola indicated that the biggest difference is that the filmmakers didn’t just enlist his talents for visual artistry. Check out what else Mignola had to say in the video below. Are you excited for Hellboy‘s NYCC panel? Share your thoughts in the comments!